0.1 What is Android Root? Best Root Apps 2018 – Rooting is the best tweak for every Android phone. You will fully unlock and access root access to your device after rooting. So, here I am sharing some of the best Android apps to root Android phone. There are lots of advantages & disadvantages for rooting your mobile. Well, Benefits are in majority. 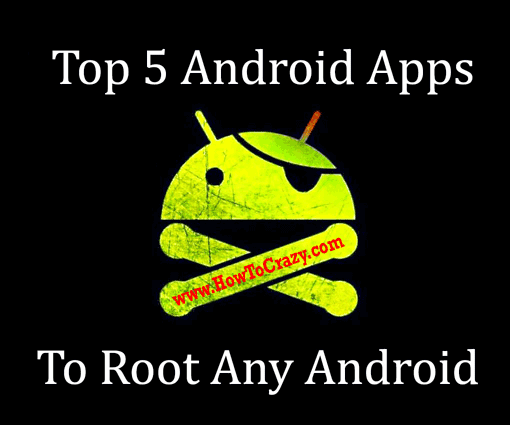 So choose any root app from best root apps listed below. Android is used for communicating, chatting, listening songs and all. But some peoples act like developers, or you can say, some people are Tech Freak (Like Me! 😛 ) who tests something new on their device. So we need best root apps to root the android mobile phone with simple steps. Rooting is the process which unlocks your device fully. You are granted to access the root of your phone after this process. You can change IMEI number, Android ID, or can access lots of internal features of your mobile. If you are ROM lover, you can install different awesome Custom ROM’s on your Android phone after rooting. Whenever you come to Root your Android, the first question appears in your mind is: How to root an Android phone? There are two methods for it. In first, you need PC or Laptop and the second one is, using some Rooting apps for Android. 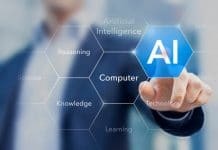 I recommend the Second method first, so you can easily root your Android without using Computer. The second question appears on your mind is: Which are the best rooting apps for Android? Yeah! It’s a nice question, let me answer this. Remember – I already shared Android tutorial on How to install Dolby Atmos on Android, you must have a look at this. Here I am sharing top 5 best root apps 2018 to root any Android phone, that will help you to root the android mobile phone. Trust me, you are going to know about best root apps on the internet. Last words – So there were the top 5 Android apps to root any Android phone in 2018. If you are facing any problem in rooting your device, feel free to comment below. I will reply you shortly. Wow! You rocks brother. Plz add kingroot in this list. Thanks for sharing an App for this article. I will add this in the above list soon. Keep sharing this type of such information. Nice Bro And Thanks for Sharing ROOT Apps List. There’s certainly a great deal to know about this subject. I love all of the points you’ve made. if only someone could find a way to root the note 4 sm-n910a. Hello, my name is chaser nice to meet you. Thank you for all the great advice for guys like me who don’t know much about android. And have a hard time, catching back up with technologies. But I have noticed one little thing that’s missing or (And must likely so) I over looked advice on How to Brick My Phone. Yes, I want to kniw how to not his not to… that sound dumb and probably is so please don’t make to much fun of me if you decide to respond. But I’ve read a few articles on” bricking” an Android device and I don’t have an understanding on what really happens. If you could make this happen I’ll gladly by you a six pack of your favorite brew, drink it for you, and most likely destroy my Galaxy 6 edge! You rock and thank you for your insight. You do more for like guy’s like me than you’ll ever know! Please read above apps and try one by one for LG Brand. You must find some apps working for your mobile. So, I’m assuming a Droid Turbo 2 probably works as well with this huh?